The Sugar-Plum stitch produces a firm, non-curling, reversible fabric. The right side resembles flat weaving with a subtle, vertical ridging effect. 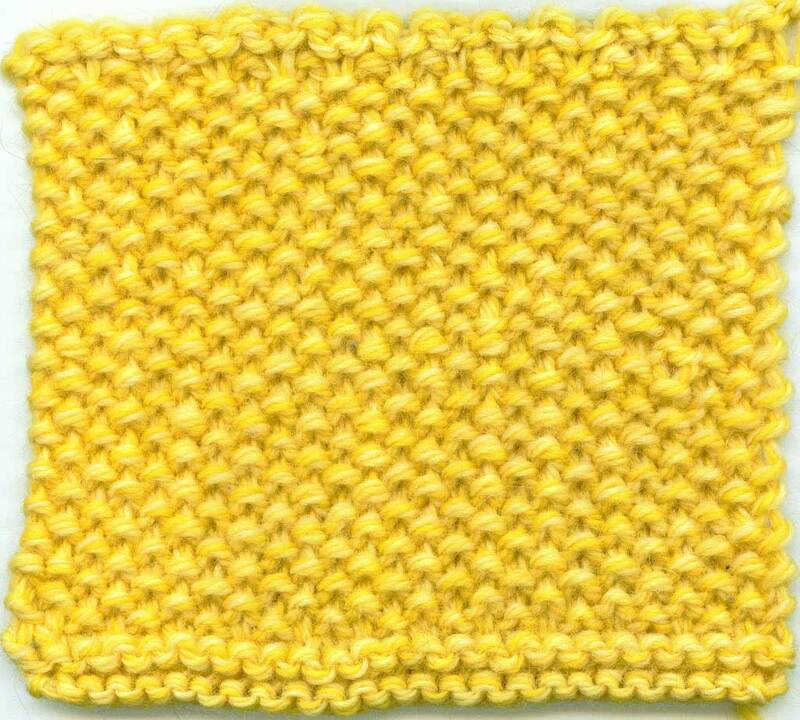 The wrong side resembles seed stitch. Row 1: *Knit 1, bring yarn forward between needles, slip 1 (as if to purl), bring yarn toward the back between needles. Repeat from * . 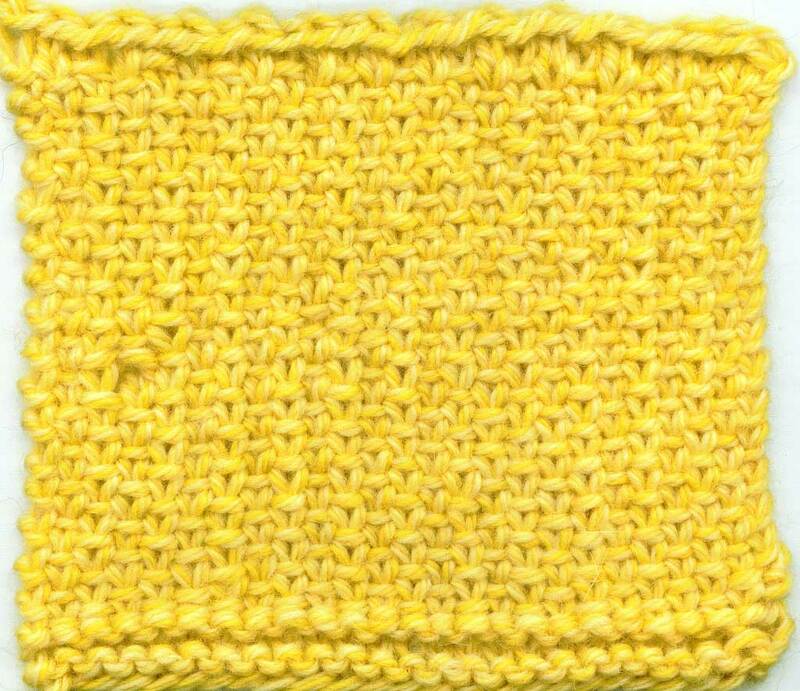 End knit 1. 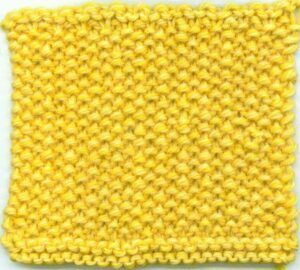 Row 2: With yarn in back, *slip 1 (as if to purl), bring yarn forward between needles, purl 1, bring yarn toward the back between needles. Repeat from * . End slip 1. Repeat these two rows for desired length. 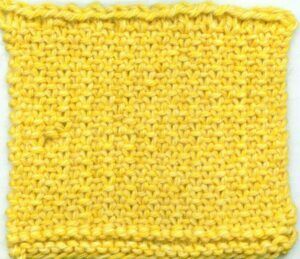 – Sample is worked with 4 rows of knit (garter stitch) to show the contrast between the different textures, with worsted weight wool, on size US 7 (4.5mm) needles).